My good friends at Red Gold recently sent me a fun package that contained a variety of their delicious tomatoes -- along with an apron, wooden spoon, and slow cooker recipes. 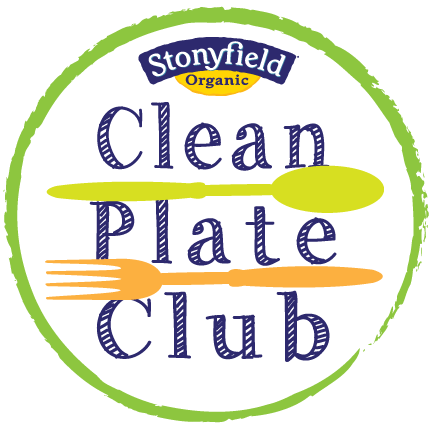 Red Gold is focusing on time-saving slow cooker meals this Fall, encouraging families to have a hot meal ready and waiting when they get back home after a busy day at school or work. 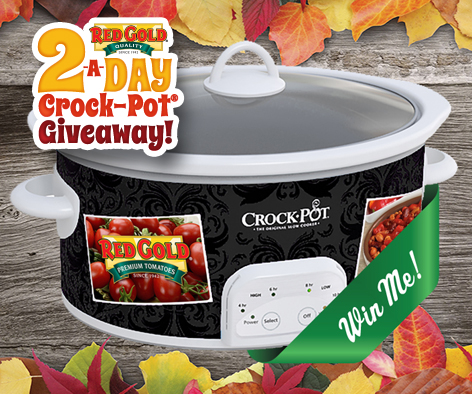 They're also hosting a fun promotion starting today -- they're going to give away two slow cookers a day for the next three weeks — that's 44 Crock-Pots in all!! 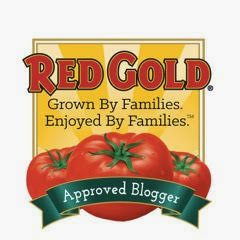 Red Gold also encouraged me to share a fun slow cooker creation featuring one of the tomato products in my prize pack. I love Red Gold Petite Diced Tomatoes with Lime Juice & Cilantro, so I used it as the starting point for a filling soup that's a complete meal in a bowl. My Slow Cooker Beefy Cilantro-Lime Soup is very adaptable. You can put it on in the morning before you leave and let it cook on Low for 6 hours; simply program your slow cooker to switch to Warm mode the rest of the day. 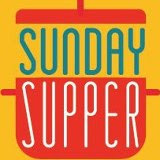 You can also assemble the dish in the late afternoon/early evening and cook it on High for 3 hours. This spicy soup is perfect for cool Fall evenings. It’s flavored with cilantro, lime juice, corn, potatoes, and mild green chiles. To add a bit of heat and smokiness, I added low-sodium taco seasoning and a spoonful of puree from a can of chipotle peppers. Feel free to adjust the heat level to your preference. For serving, I topped each bowl with a dollop of cooling sour cream and shredded cheese. Your kitchen will smell heavenly while this soup is cooking away! Step 1: Brown the ground beef in a non-stick skillet. Add the onion, garlic, cilantro, and salt & pepper. Cook until the onion begins to turn translucent. Transfer the beef mixture to the slow cooker. Add the tomatoes (juice and all), corn, hash browns, taco seasoning, and green chiles. Stir to combine. Step 2: Add the broth, chipotle puree/hot sauce, and lime juice. Stir well to completely combine the ingredients. Put on the lid. Turn the slow cooker to Low and cook for 6 hours, then program it to switch to Warm mode until ready to serve. You can also cook the soup on High for 3 hours if you prefer. Step 3: To serve, ladle the finished soup into serving bowls. Top each serving with a spoon of sour cream and some shredded cheddar. I also like to serve tortilla chips on the side, but warm cornbread would work great too. That’s it…this yummy soup takes about 20 minutes of prep, then the slow cooker does the rest of the work. We found the heat level of this soup perfect for us, but feel free to increase or decrease the spice level to suit your preference. This soup is comforting and filling, and the double shot of lime from the tomatoes and the fresh lime juice gave the soup a refreshing tanginess. We’re not huge cilantro fans, so feel free to sprinkle a bit more chopped fresh cilantro on top of your bowl if you’re a fan. I hope you’ll give my family-friendly soup recipe a try now that the weather’s starting to cool off a bit…and I hope you’ll go enter Red Gold’s slow cooker contest! Red Gold is also going to give one of my readers one of the fabulous prize packs that they sent to me! 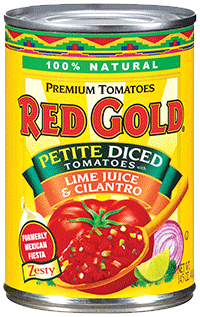 The prize pack contains the following goodies: two cans Red Gold crushed tomatoes, one can Red Gold diced tomatoes, one can Red Gold diced with green chills, one can Red Gold petite diced with lime juice and cilantro, and one can Red Gold diced with garlic and olive oil. 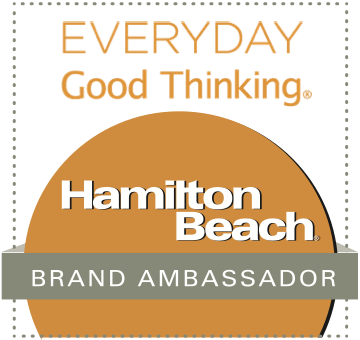 You’ll also receive a Red Gold apron, a Red Gold logo wooden spoon -- and a collection of slow cooker recipes like Pulled Pork Sliders, Sausage & Sweet Potato Chili, and Slow Cooked Mac & Cheese. To enter this giveaway, simply leave a Comment below telling me how you like to use your slow cooker to save you time during busy weeknights. That's it! I’ll accept entries until 1159 CST on Saturday, September 20th. I’ll notify the winner via e-mail the following day…so please make sure to include your e-mail address. Good luck! Disclosure: Red Gold sent me a prize pack of product to facilitate this post. All opinions expressed are solely mine.